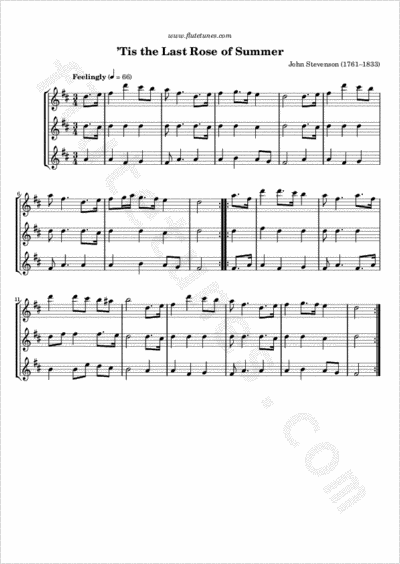 This arrangement of Sir John Stevenson's famous melody “The Last Rose of Summer” is taken from Blake's Young Flutist's Magazine, published in 1833. More information about the tune is available on the tune page for the flute-and-piano version. Thanks to Joyce Kai for contributing this piece!